I wrote “Kunoichi”. It means “Female Ninja” in English. It’s Ninja’s cant. 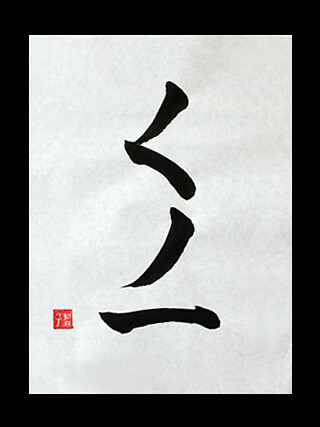 Japanese Kanji Symbols for Woman, This stroke order is “Ku”, “No”, “Ichi”. So, Female Ninja are called “Kunoichi”.